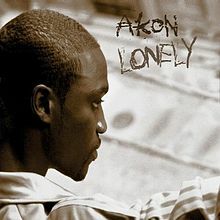 the song "Lonely", sometimes named "Mr Lonely" is Akon's first hit, and it was made with his first album "Trouble". The song reached number one on charts all around the world (more than 8 countries in total) and keet it around 8 weeks in the United Kingdom and Germany. If you want to know the rest of the participants of the best 50 saddest songs ever, just go to the Top50world Saddest songs !